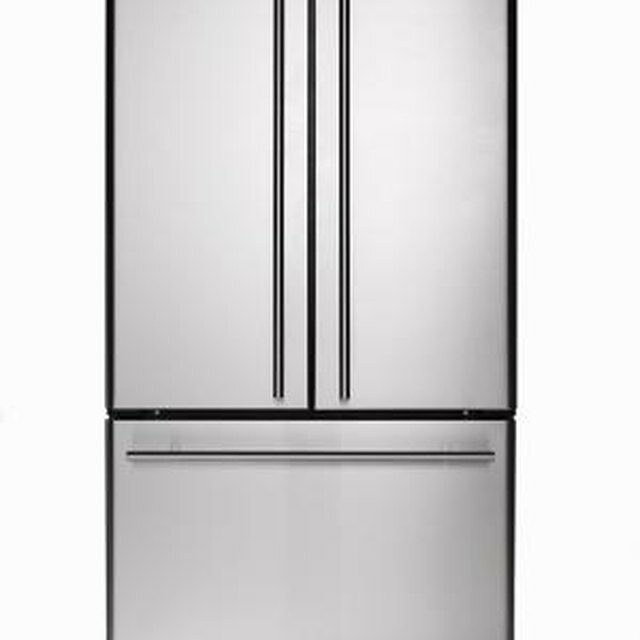 The ice maker in your Kenmore Elite side-by-side refrigerator is convenient, at least when it's working properly. Whether you use your ice maker every day or just for special occasions, it is a good idea to have some basic troubleshooting skills. A number of things can cause the ice maker to go awry, and knowing how to deal with those issues is the best way to ensure a steady stream of ice cubes. Clean your fridge regularly to keep your ice tasting good. Check for clumps of ice forming inside the storage bin. Remove the storage bin from the ice maker and use your hands to break up any clumps. Discard any clumps you cannot break up, then place the storage bin back in the ice maker. Assure that the door is closing tightly if the ice maker is not freezing the ice cubes solidly enough. If the door is ajar the ice maker cannot freeze the cubes properly. Check the rubber seal around the door for damage or obstructions. Set the temperature in the freezer compartment to a colder setting if the door is closed but the ice cubes are still not freezing solidly enough. Clean the storage bin thoroughly if the ice cubes have a bad odor or taste. Discard any unused ice cubes after 30 days. Clean the entire interior of the refrigerator if the ice cubes still have a bad odor or taste. The water running through the lines can pick up odors from the refrigerator and freezer compartment. Remove the storage compartment and look at the wire arm at the bottom of the ice maker. Remove any ice that is frozen to the arm, then replace the storage compartment. Troubleshooting: Why Does My Whirlpool Washing Machine Stop Working Mid Cycle?